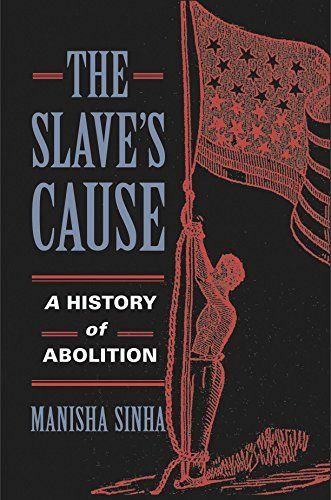 NEH fellowships awarded by the American Antiquarian Society and the Massachusetts Historical Society helped Manisha Sinha write The Slave's Cause: A History of Abolition. Image courtesy of Yale University Press. NEH-funded fellowships at the American Antiquarian Society and the Massachusetts Historical Society have helped historian Manisha Sinha reach a large, international audience while making significant contributions to the study of American history. Her book, The Slave’s Cause: A History of Abolition (2016), has helped historians and the public see that nineteenth-century abolitionists were much more than religious reformers at the edges of the political spectrum: they were nuanced people who, as a group, managed to swing the pendulum of our democracy. The book also emphasizes the roles of ordinary people in advancing a social movement. Among other awards, The Slave’s Cause won the Frederick Douglass Book Prize from the Gilder Lehrman Institute and was longlisted for the National Book Award for Non-Fiction. Sinha awarded a National Endowment for the Humanities Fellowship from the American Antiquarian Society. The Abolitionists, an NEH-funded documentary premieres. Sinha acts as a consultant and on-screen expert for the documentary. Sinha awarded a National Endowment for the Humanities Fellowship from the Massachusetts Historical Society. *The Slave's Cause: A History of Abolition" is published by Yale University Press. The Slave's Cause is longlisted for the National Book Award in Nonfiction. Sinha presents The Slave's Cause at the National Underground Railroad Freedom Center in Cincinnati, Ohio. Sinha awarded the Frederick Douglass Book Prize by the Gilder Lehrman Institute of American History and the Gilder Lehrman Center for the Study of Slavery, Resistance, and Abolition, Yale University. Sinha discusses The Slave's Cause on Ben Franklin's World: A Podcast About Early American History. Sinha awarded the Avery O. Craven Award for Best Book on the Civil War Era by the Organization of American Historians. Sinha presents The Slave's Cause at the American Writers Museum in Chicago, Illinois. Sinha discusses The Slave's Cause at the Connecticut Historical Society Museum & Library. Beyond helping her research and write the book, the NEH grant prompted Sinha to talk about large issues—slavery, democracy, race, emancipation, and citizenship—to broad audiences. While undertaking her research, Sinha was approached by Rob Bradley to consult on his documentary, The Abolitionists (2013), which was part of the NEH-funded Created Equal series. Once the film was released Sinha gave a number of invited talks at schools and colleges, where she would speak with students who had viewed the documentary. And upon the publication of her book, Sinha found herself traveling the world as part of her book tour, giving lectures and readings in the United Kingdom, France, and Australia, in addition to the United States. NEH funding encouraged Sinha to move beyond her discipline: “I don’t think I would have been so adventurous with a narrower topic or something not funded,” she says. “I was able to do much more work on literature, to expand what counts as a historical source and revisit the way I write and the way I research. It was a liberating experience to transcend my conventional training.” The grant also encouraged her to imagine an impact that went beyond a traditional scholarly one, encouraging her to reach the public in new ways. Sinha now writes for nonacademic and popular publications, and brings her work to local organizations, including historical societies, museums, archives, and public libraries. “I think I have actually driven to nearly every small town in New England and upstate New York,” she says.